Best 1/3" B/W camera available for high resolution & low light conditions. 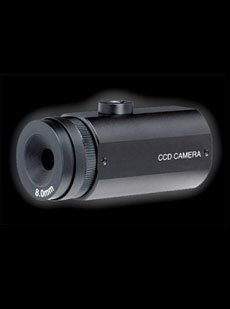 B/W SONY HAD Exview CCD is well known for minimum noise under low light and picture balance in other lighting conditions. 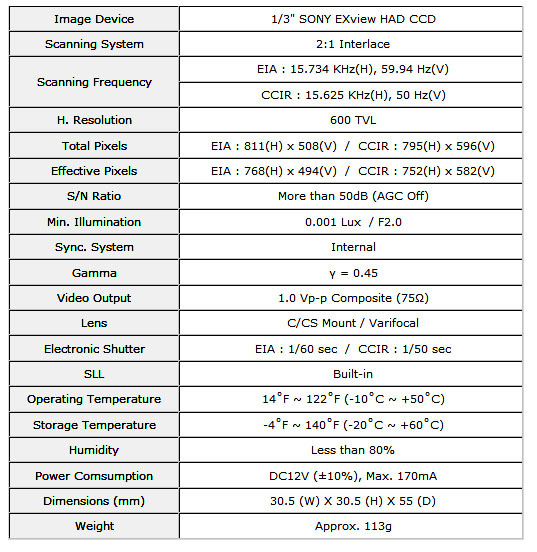 We offer you a great B/W High Res Super Low Lux Compact Camera. It's b/w camera provides you with a great image. Are you interested in this B/W High Res Super Low Lux Compact Camera / Standard Camera but not sure what's required for setup, how it works or you just have a general inquiry? Chat with one of our Standard Camera Specialists.